It may not be all prim and proper, but many expats living in Bangkok have come to appreciate the simple joys like true locals. The crowded city, however, is chaotic, and expats are advised to take precautions at all times. Bangkok has recently stepped up its security after a series of bombings by terrorists in 2015. Home to 13% of Thailand’s total population, Bangkok is the heart Thailand’s trade, commerce, and politics. With so many wonderfully warm people, vibrant markets, tourist attractions, and glamorous nightlife, it is undeniable that Bangkok is a must for tourist to visit. Under the bright sunny sky of the city, it can be said that the beautiful malls and luxurious stores hold an amazingly great contribution to Bangkok’s scenery; although it is a fascinating sight, in contrast, the city has slums that can be attributed to the increasing migration of people from poorer provinces in Thailand to Bangkok. Aside from the rising population density in Bangkok, the city also has a rising pollution problem. Expats with respiratory conditions should see their healthcare providers and talk with them about this travel and immigration plan. Despite its health concerns, Bangkok's healthcare has improved greatly in recent years, and it is known as one of the most popular cities for medical tourism. Nevertheless, medications should be prepared beforehand, and proper health assessment and vaccinations should be discussed with your physician in regards to relocation and moving to Bangkok. 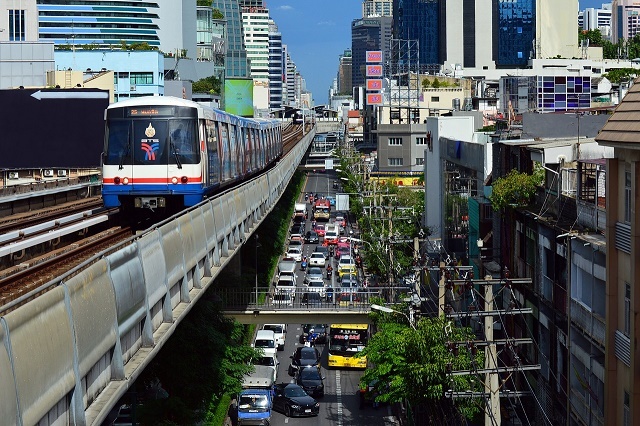 If you discover the speed of Bangkok’s transit system, you can avoid being trapped in Bangkok's heavy traffic. With the current development of subway systems and skyways, in the near future, not only will traffic be prevented but the travelling experience can become better and nicer for commuters and car owners. 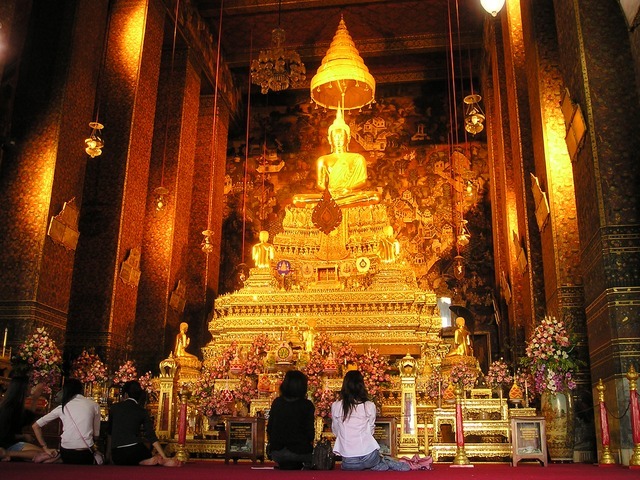 The way of life in Bangkok is primarily influenced by their Buddhist and Hindu religions. The most common type of expats relocating here are retirees wanting to get the most out of its pristine beaches and rich culture. Bangkok is Thailand’s City of Angels and is Southeast Asia’s most diverse city. The city got its tag from its official name - Krung Thep Mahanakhon which literally translates to “City of Angels”. Numerous expats relocate to Bangkok through internal transfers by their companies back home or those who have taken interests in working in restaurants or bars. Being prepared with the kind of weather in Bangkok is almost a must. Monsoons take place from July to November and the rest of the year is hot and humid. To get along with the climate, best to bring clothing that would keep one warm from day to night. It would also come handy if expat assigned to work in Bangkok bring a travel and Thai language guide with them. Perhaps, spending some time before the move learning some basic Thai expressions would be very helpful. This is because there is a huge tendency that the larger part of the population speaks very little English. Bangkok is known for its warm and humid climate which means that you need to leave your beloved winter coat or boots. The months of October to March are the best time of the year because the skies are clear, and the temperature is tolerable. March until May is when you will experience scorching heat so it’s best to stay indoors to avoid heat stroke or exhaustion. The wet season starts in May and lasts until mid-October. Always bring an umbrella, poncho or rain boots during these months to avoid getting soaked. Air pollution is becoming a major problem in Bangkok due to its industrial growth, but the government is putting an effort into lowering the levels of air pollution in the city though shifting to low-emissions vehicle engines and the improvement of the city's public transport system. It is important to get a credible shipping company when transporting belongings to Bangkok. Obtaining insurance from a different company other than the one providing the cargo service is also advisable. Sometimes, goods in Bangkok are cheaper than all the shipping fees combined, thus, decide well whether to just buy new stuff in Bangkok or opt for overseas shipping. 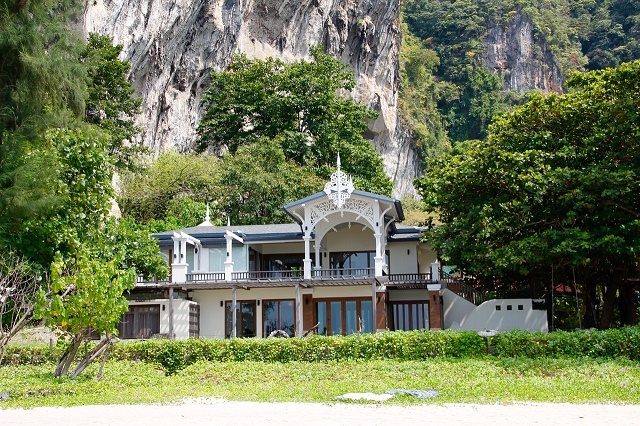 Expats are given six months to import their household belongings from their home country, though the Thai officials are known to be more flexible in implementing this policy. Nevertheless, make sure to give officials a heads up should there be any delay. If the approved visa allows the person carrying the goods to stay for more than a year, no taxes will be imposed. Otherwise, a 20 percent import tax and a 7 percent value-added tax will be applied on all goods. Pornographic paraphernalia including pictures and literature are prohibited from entering the country. All forms of narcotics such as marijuana, cocaine and other illegal drugs are banned. Firearms and ammunitions are not allowed as well, except in cases where a permit has been obtained prior to the shipment. Antiques and art objects from the Kingdom of Thailand are prohibited to be taken out of the country except for religious, cultural and educational purposes where a license should have been obtained beforehand. Electric outlets in Bangkok are at 220 volts. If your appliances operate on either a higher or lower voltage, be sure to bring or purchase a correct (in terms of voltage and polarity) transformer so they could be used. Movers to Bangkok offer services starting from the packaging of the goods to delivering at your new doorstep. Bangkok is known for its vibrant and dynamic environment.The temples, shopping spots and Thailand's delectable cuisine are among the many things that many tourists enjoy about the city. But Bangkok can also be a perfect place for a family. And children will love staying in this colourful city as it also offers plenty activities for them. Deciding to live in Bangkok is a convenient step since expats will be situated in Thailand’s centre of politics, business and commercial activities. Locals in this city are widely known for their hospitality and warm hearts that’s why you will find it almost natural to mingle with the communities. As you start planning your relocation, keep in mind that there is more to prepare aside from your future job and a home abroad. There are still several factors that you must know about living in Bangkok and here are some guidelines that’ll help you in your everyday life. The most common ways of transportation in Bangkok are taxis and “Tuk-tuks”. In 1993, meters were installed in all of the taxis in the city, and though the drivers refused to use them, It was still implemented. The drivers, would most of the time, charge higher fees than the meters would tally, but the cost of taxis are relatively cheap if it is to be to “Western standards”. The Tuk-tuk is a Three wheeled vehicle; it is very closely similar to the Philippines’ common public transportation vehicle, the “tricycle”. Tuk-tuks are the cheapest and the most dangerous way of transportation throughout the city. Despite the danger and hazards, a ride in a tuk-tuk may be the fastest and the most convenient way of travel for rush hours in Bangkok. The Siam Ocean World is the largest aquarium in the Southeast Asia. It is located in one of the glitzy malls of Bangkok, the Siam Paragon. The Aquarium holds approximately 4 million litres of water, which is about the size of three Olympic swimming pools. It is home to a hundred different animal species and aims not only to entertain but also to educate children about the world's aquatic environment and promote conservation awareness. Also located in the Siam Ocean World is Thailand's first 4D Theater. Opening a local account in Bangkok will greatly aid you when it comes to your basic financial transactions. Requirements and deposit amount vary with each bank, but some of the documents that you should prepare are your valid ID with photo (passport), proof of residency (rental contract will do), work/resident permit and visa. Only several banks like The Kasikorn Bank and Siam Commercial Bank (SCB) have ATM that has both English and Thai language options. You can also consider international banks in Bangkok such as The Bank of America and Citibank. ATMs are fully operational 24/7 while banks are open on Mondays to Fridays from 8:30 am till 3:30 pm or sometimes up to 4:30 pm. Most landlords will not include the cost of water, electricity and internet in your rental pay which means that you have to take care of it on your own. The last thing that you would want is to cram because your bills are almost due, and you don’t know where to pay. In Bangkok, several places are authorised to accept payments such as banks, convenient stores like 7-11 or at the office of your service provider. Keep in mind that banks and 7-11s do not process overdue payments so its best to keep track of your monthly due date to avoid any inconvenience.